AIM Group International acquired 51% of the shares of VanGoGh communication agency, specialised in creative digital and communication services. This will allow the Group to provide a unified conference, communication and digital offering supporting associations and corporate clients with branding, strategy and communication. Thanks to this acquisition, AIM Group takes over the management and operations of VanGoGh and establishes a new governance structure. 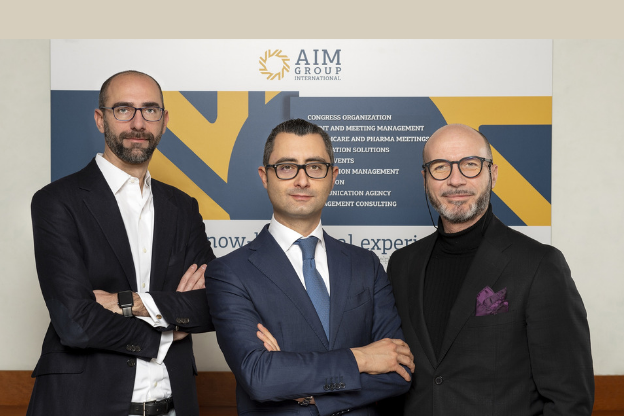 The new board of directors is composed of Massimo Galli (right in the picture), founder and CEO of VanGoGh, holding the position of President, Gianluca Scavo (in the middle), CEO of AIM Group International, as Managing Director, and Nicola Sciumè as the new CEO (left in the picture).